Major environmental degradation is a serious problem for China as the country's economy continues to grow at a phenomenal pace. In recent years environmental organisations have begun to emerge in China, and in some cases have had remarkable success in affecting policies which would have had significant adverse impacts on the environment. This book, based on extensive original research, adopts a multi-disciplinary research approach to examine environmental activism in China, focusing on four cities. It analyses the nature, characteristics, strategies, organizational modes and influence of what could be labeled a Chinese environmental movement in-the-making. 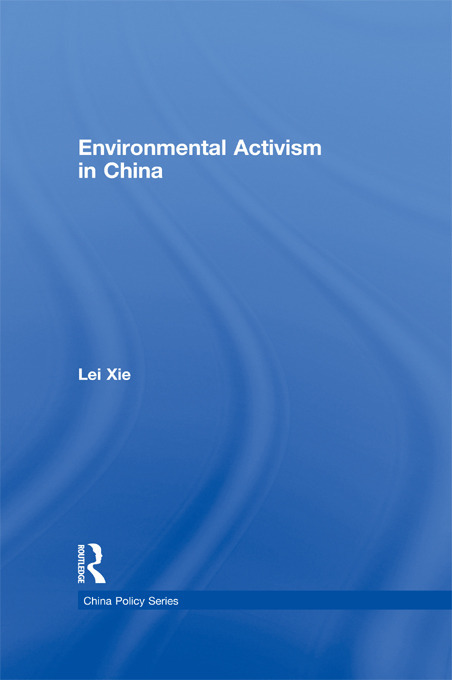 In particular, this volume highlights the specificities of Chinese environmental activism in an increasingly globalizing world, along with a comparison to the environmental movement in Western Europe and North America.